Hyatt Hotels has agreed to manage a new Hyatt Regency hotel in Sydney, Australia. The property, located at 161 Sussex Street, is currently operating as the Four Points by Sheraton Sydney, Darling Harbour, but will be rebranded into Hyatt Regency Sydney on November 30. As part of the management agreement, the hotel will undergo a A$250 million (US$184 million) re-development and refurbishment, which will see it add a new 24-storey tower and 222 additional guestrooms – making Hyatt Regency Sydney the largest full service hotel in Australia with 892 rooms. Additionally, the hotel will debut a 272-seater all-day dining restaurant, as well as the only hotel rooftop bar in Sydney. For business travellers, a Regency Club lounge will be available when the property opens. 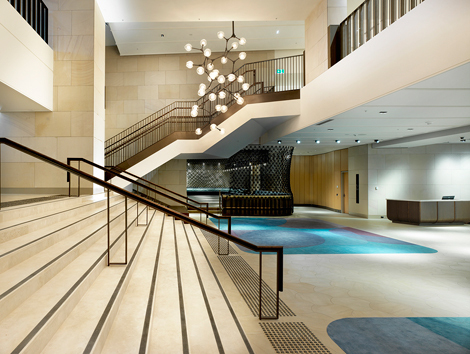 Hyatt Regency Sydney will also feature more than 3,450 sqm of meeting spaces, including two ballrooms that can seat more than 1,000 people in total. “This hotel will resonate with business and leisure travellers alike, and furthermore, we believe this hotel will be a leader in providing outstanding exhibition and function spaces so meeting planners can enable attendees to have a great experience,” said David Udell, group president – Asia Pacific, Hyatt Hotels Corporation.